Hello... Hello ... my old friends ... It's great to see you once again! 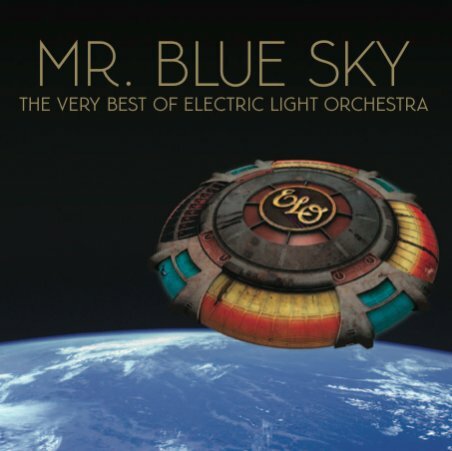 The Official ELO/Jeff Lynne web site has now confirmed the track listing for "Mr. Blue Sky" - the new Jeff Lynne album of ELO reinterpretations - replete with snippets of the twelve tracks: "Mr. Blue Sky"; "Evil Woman"; "Strange Magic"; "Don't Bring Me Down"; "Turn To Stone"; "Showdown"; "Telephone Line"; "Livin' Thing"; "Do Ya"; "Can't Get It Out Of My Head"; "10538 Overture" and the brand new song "Point Of No Return". Enjoy this taste of things to come and get your pre-orders in for maximum album chart impact in October!